The Real ID Act has been in the news lately, but here at PassportInfo.com, we’ve been covering the Real ID Act for many years. The REAL ID Act Passport option may be one of the most commonly asked questions for domestic travelers. 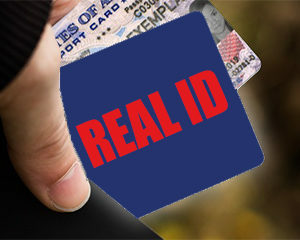 The REAL ID Act is the law that sets Federal standards for the issuance of state ID cards like driver’s licenses. Domestic air travel may soon require some travelers to hold a valid passport since their state ID won’t meet the federal requirements. What is the REAL ID Act all about? In the wake of the terrible terrorist attacks of 2001, the government’s 9/11 Commission was tasked with finding ways to improve airport security. One of the items they focused on was identification. Most of us use a driver’s license or other state-issued ID when we check in for a domestic flight. The only problem was that every state had their own requirements for issuing identification cards. The REAL ID Act of 2005 was meant to fix that gap. The law created Federal standards for the issuance of driver’s licenses and other IDs. 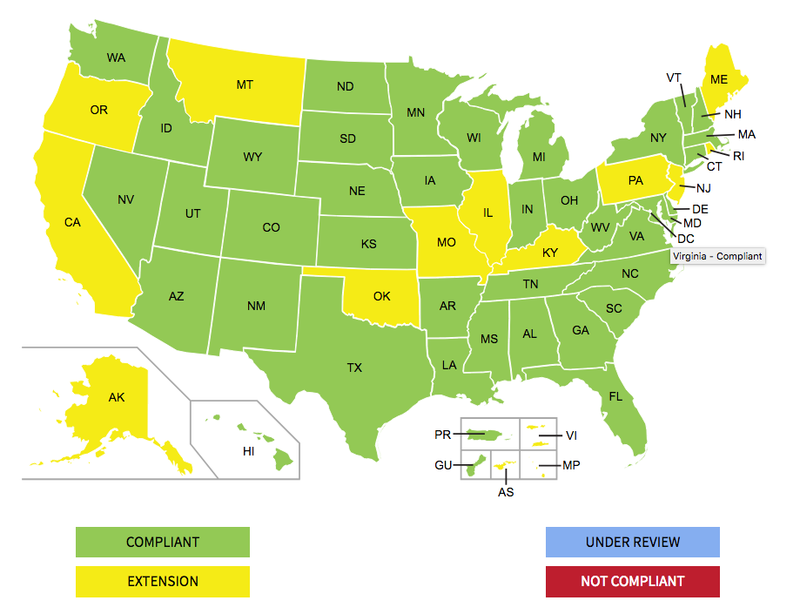 About half of all US states have now adopted these new ID standards. When the law goes in to effect fully, you will need to show an identification that is certified as REAL ID anytime you board a flight in the US. You’ll also need this type of ID to enter Federal facilities, military bases, and nuclear power plants. What’s the latest news on REAL ID? 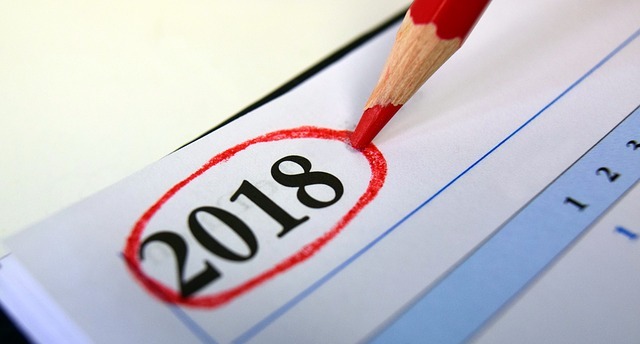 Over the last few years, the US government has pushed back the implementation date of the new ID requirements again and again. The Department of Homeland Security has changed the deadline several times, trying to give all the states time to revamp the way they issue driver’s licenses. But it seems that some states are in no hurry to comply with the ID rules! The states in yellow are currently under the extension timeline. It may be best for these travelers to get a passport if they travel a lot. A recent REAL ID deadline came and went on January 22, 2018. On that date, all Americans were expected to have a REAL ID-compliant ID card or passport in order to board a flight, enter a Federal facility, or visit a nuclear power plant or military base. That didn’t happen, though. Roughly half of all US states and territories still weren’t issuing REAL ID cards. Rather than have millions of travelers turned away from their flights, the government pushed out the deadline again. Currently, residents of those states can keep using their driver’s licenses to fly within the US. This doesn’t mean that all of the non-compliant states will need to start issuing REAL ID driver’s licenses by mid-January, though. Every single state has applied for an extension to the deadline! As of the time of this writing, all of the non-compliant states have been given an extension. Will you need a passport to fly domestically next year? Currently veryone can keep using their normal driver’s licenses or state-issued ID cards to check in for flights. It doesn’t matter if your license is a REAL ID or not. Consider getting a passport book, passport card, Trusted Traveler card, or military ID card if you don’t have a REAL ID license. It’s best to hold a valid passport so you don’t get stuck at the airport. Your passport is a valid ID that is recognized in every state, airport, and international country. The validity for ten years also gives you a chance to travel for a long time with that ID. Be a smart traveler and carry a valid ID.